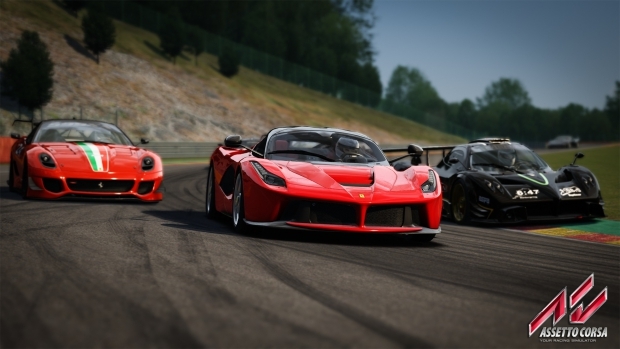 A new Assetto Corsa game was announced some time ago and we also learnt that it will be using the Unreal Engine 4. Now, some brand new gameplay footage has been revealed during the ongoing E3 2018. Since Assetto Corsa Competizione will be using the Unreal Engine 4, we can expect it to look quite great. The game will feature a day/night cycle and also photorealistic weather effects. These improvements are bound to make this racing simulator a lot more immersive than it would have been otherwise. As of now, there is no confirmation regarding whether the game will feature VR support or not, but it’s not out of the question since the Unreal Engine 4 comes with native VR support. Assetto Corsa Competizione is set to release later in the summer of this year. You can check out the new E3 2018 gameplay trailer below.